The Fresh Foam 1080 v7 is once again filled with potential. Unfortunately the Fresh Foam cushioning still felt to firm and the upper, although slightly improved from last years model, still caused rubbing issues on the inside of my foot. This shoe is for runners who are already comfortable in the 1080 fresh foam model. It may also be a good option for larger runners given the high density of the fresh foam midsole material. 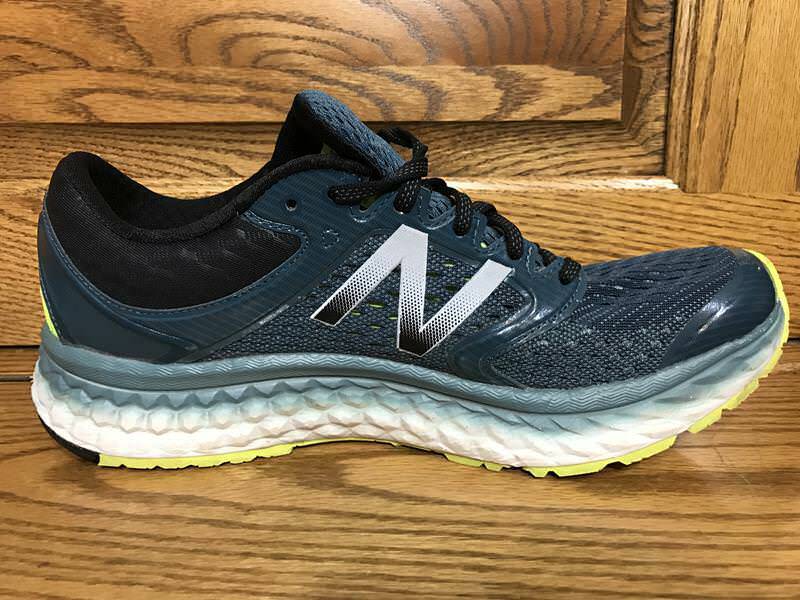 Last year New Balance brought fresh foam cushioning to their popular 1080 shoe model for the first time. 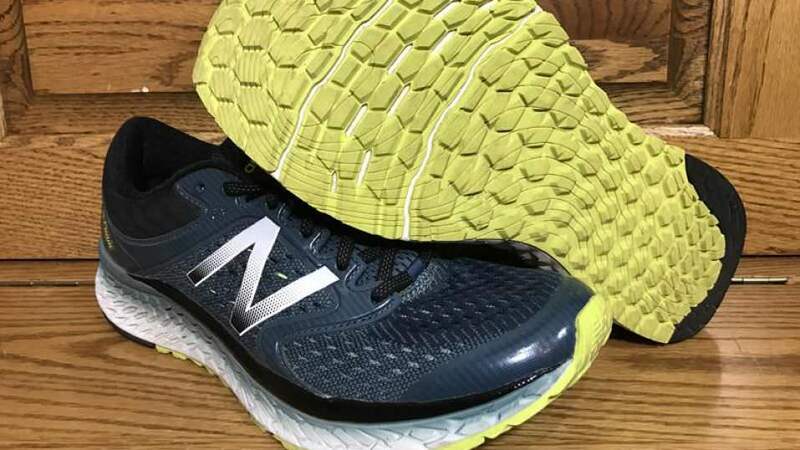 The goal was for the all new Fresh Foam midsole to provide a supremely cushioned underfoot feel and still allow the runner to engage with the shoes ride. I had the opportunity to test the 1080 v6 and the shoe was lacking in a few key areas. The Fresh Foam didn’t feel very soft in my opinion and the upper had a seam on the medial side that cause rubbing and blistering. This year New Balance brings us the 1080 v7. It’s a minor update that relies heavily on last years platform. There is an all new mesh used in the upper in order to smooth out the fit in the midfoot, redesigned flex grooves in the outsole, and slightly altered shoe geometry to make the ride feel smoother and softer. I was eagerly anticipating testing this shoe because I wanted to see if they’d done anything about that pesky seam that caused so many rubbing issues last year. Naturally upon receiving the shoe the first thing I did was put my hand inside the upper to see if the seam was still there and it was. This didn’t give me the greatest first impression of the shoe but I was still holding out hope that the new mesh and shoe geometry (flex grooves) could potentially solve the problem. I put last years version on my left foot and this years version on my right foot to compare cushioning while standing still. The cushion feels exactly the same as expected. This version of the fresh foam 1080 features a one piece fresh foam midsole with a blown rubber outsole. This fresh foam layer is thick and the shoe has a wide base. The wide base makes this shoe very stable. Being that this is the same midsole material used in the previous model, the shoes have a similar ride. This means you get a ride that doesn’t feel incredibly soft. The cushion just does not compress the way you would expect for a fully cushioned shoe. 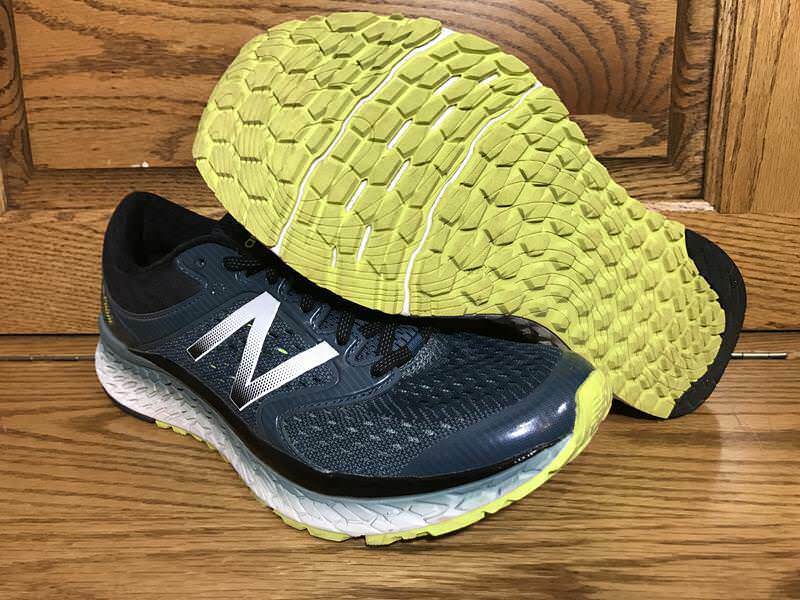 This shoe really doesn’t feel that much more cushioned than the New Balance Zante v2 that I reviewed recently. The layer of fresh foam cushioning just feels too dense. This is great for durability purposes but leaves the ride lacking that softness most prefer in a fully cushioned shoe. The outsole has a thick layer of rubber with flex grooves that have been slightly modified from last year. The flex grooves are small grooves carved into the outsole and part of the midsole in specific areas to allow the shoe to flex. They are underneath the forefoot and now move in a more horizontal direction across the bottom of the shoe as opposed to last year. I did notice that the shoe feels slightly more flexible than its predecessor. The flex grooves and the shoes upward taper in the forefoot area give this shoe a smooth and stable ride. My only complaint is the lack of compression in the fresh foam cushioning. The upper of the 1080 v7 uses engineered mesh, bootie construction and with no sew application. Bootie construction is what contributes to the shoes sock like feel and fit. The plush tongue of the shoe has a piece of soft fabric on each side that attaches it to the base of the upper. The shoe is very comfortable. It hugs the midfoot providing a comfortable and secure fit. The upper also opens up nicely in the forefoot and toe area. The mesh used in this uppers construction is both durable and breathable. The mesh looks slightly different compared to last years model but functions the same. There were no drastic or notable changes that I noticed from the mesh this year compared to last year. The shoe still uses plush materials in the heel and tongue area making it comfortable. The plush tongue of the shoe has a piece of soft fabric on each side that attaches it to the base of the upper giving this shoe a sock like fit and feel. Once again everything about this upper is comfortable…except for an unfortunately placed seam located on the fabric attaching the tongue of the shoe to the base. This seam causes rubbing and blistering on the medial side of my foot This is a problem I ran into with last years version and unfortunately this problem has not been eliminated. It has however been slightly improved. The rubbing now takes a little longer than it used to to become a problem. For me it took about 6 miles for the shoe to start becoming uncomfortable. This is an improvement from last year and shows that some of the changes they’ve made are at least attempting to solve the problem. This is a minor update with no drastic improvements to ride quality or comfort. If you were a fan of the previous Fresh Foam 1080 model than I think you’ll probably like this one as well and appreciate some of the new modifications. The shoe once again delivered a very smooth and stable ride but was lacking softness in its midsole material. One positive aspect of the fresh foam is that its so dense it probably is very durable. I would have a hard time recommending this shoe to those looking for a highly cushioned ride. Especially considering its price point and the other much softer and just as smooth options out there such as the Brooks Glycerin 14. The seam in the upper that causes rubbing was also a big issue for me. 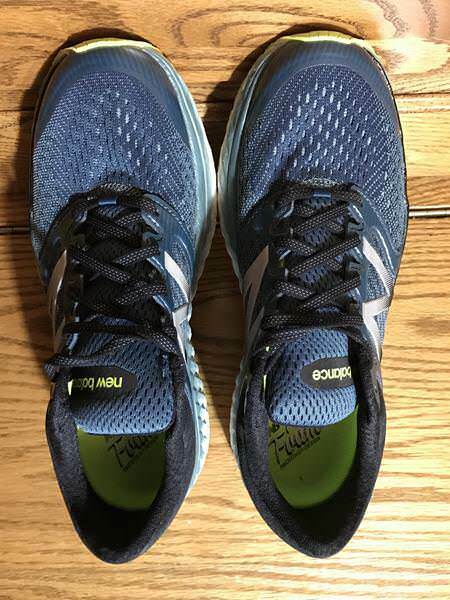 I run in and review all types of shoes from many different brands and I rarely come across a shoe that causes blistering and rubbing as quickly as this one does. The Fresh Foam 1080 v7 is once again a shoe that I probably will not continue to run in. If the upper didn’t cause rubbing I would probably be more tolerant of the firm cushioning. Having both of these combined makes it hard for me to see the value in purchasing this shoe. 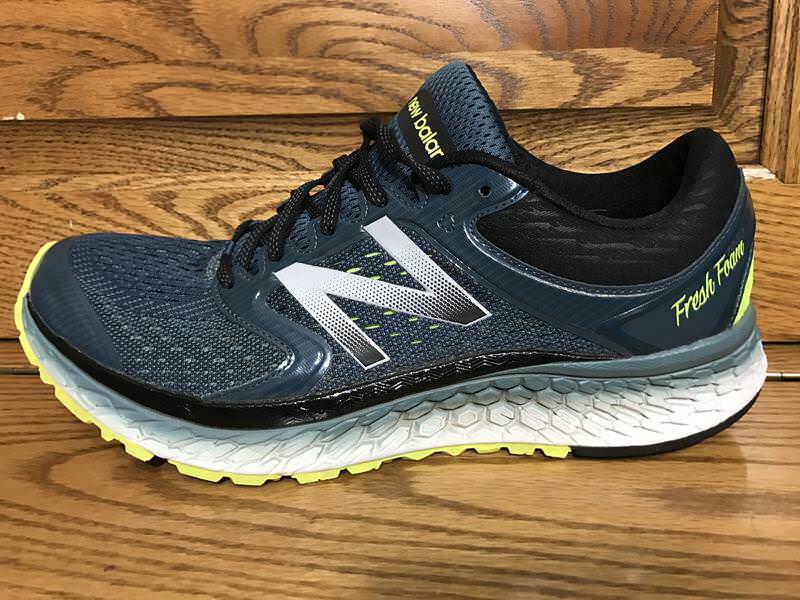 We thank the nice people at New Balance for sending us a pair of Fresh Foam 1080 v7 to test. This did not influence the outcome of the review, written after running more than 50 miles in them. This has to be the best shoes I have ever run in. I had previously used Asics and Nike. I did not experience any of the difficulties described in the article. Already run 350 kms in them and could not be happier. Hi Santosh – thanks for your feedback! What Nike and Asics shoes were you running in, to compare? 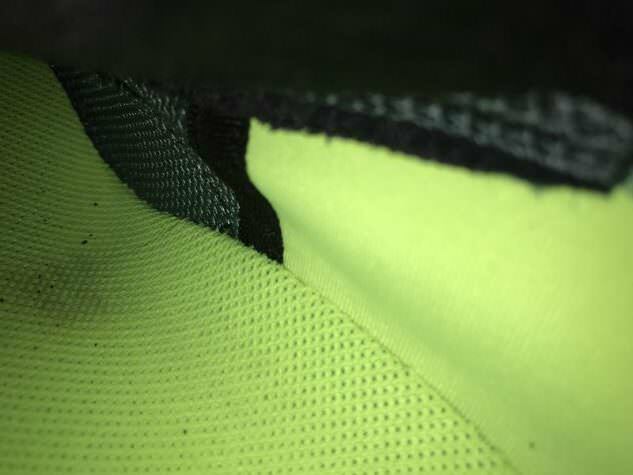 Any quick fix for that seam inside the shoe? It causing me massive blisters in the arch. I have a lot of trouble finding the perfect show. I have no arch at all, and very wide feet. These shoes felt good in the shop, seemed like they would have potential. However, getting out and actually running any distance in them has been a different story. The ride is very very hard. My feet feel bruised almost from the get-go, and it never lets up the whole run. Several weeks later, I am still not used to it. I thought it may need wearing in, but no. Secondly, that seam! omg it is awful. Again, several weeks later, I am still getting horrendous blisters after a few KM of running. Two very serious design flaws that render these shoes unwearable….and I say that after having really persisted with them. These shoes have a major problem when the running surface is wet. They are extremely slippery and can’t hold grip. Outside of the wet issue they are comfortable and grip well in the dry. Personally I am very disappointed with them and regret my purchase. 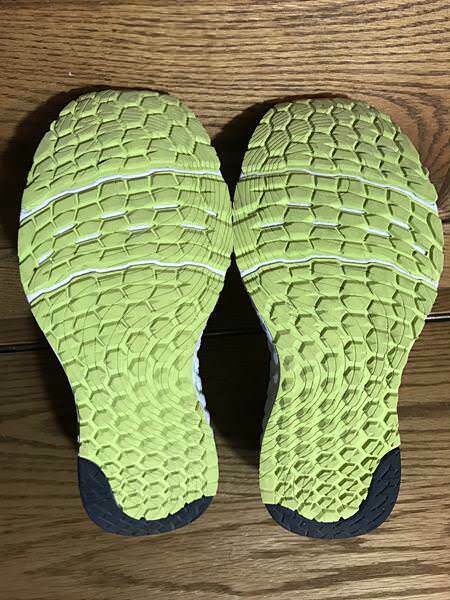 1080V7 fresh foam outer sole rubber worn out easily just after wore it for 20 days covering milieage of 150Km. Thanks for commenting. I have only had the opportunity to run in v6 and v7 and have so far not been impressed. Luckily for this who like New Balance shoes, they make a pretty good shoe in the zante v2. It’s visibly got less cushion than the 1080 but it feels about the same when it comes to cushioning. The zante also doesn’t cause rubbing. Do you have any other recommendations for 4e size foot? The only options I’ve found are Brooks Dyad and the NB 1080. The Brooks is a little stiff for long runs but works great for interval training. I use the 1080 v6 for longer runs. Nike and Asics in 4e both seem to still be too narrow.